We know that prospective students don’t always tell us what they really think. Sometimes they don’t want to be completely honest about their REAL first-choice college because they think they’ll hurt our feelings. They may tell us they had a great campus visit, yet tell their parents on the way home that they’ll never enroll. They often say one thing and do another. Why? 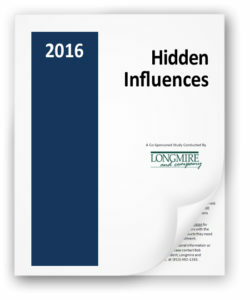 We will answer those critical questions in our next co-sponsored study, Hidden Influences: Revealing the unspoken perceptions that prospective students have about your college and why it matters in your ability to grow and control enrollment. This unprecedented study will break new ground in exploring the hidden perceptions and opinions that influence students in choosing your college or another. Unlike any other higher education research or non-matric studies, Hidden Influences will dive deeply into the emotions and perceptions that factor into the college selection process. 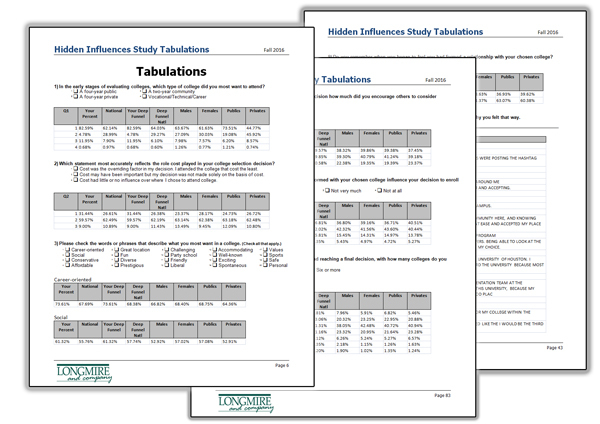 This study, like our previous co-sponsored studies, will provide you with actionable information you can use immediately and effectively. We hope you will join a prestigious list of co-sponsoring colleges and universities, large and small, and participate in this study. Co-sponsors find our studies valuable because of the wealth of new insight they gain about their individual pools of prospective students – insight they can use to drive action and change. 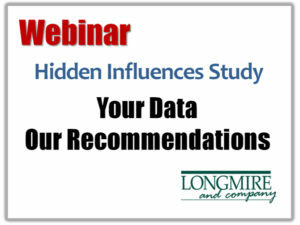 We have been told many times by co-sponsors that the webinar alone is worth the cost! It can be very expensive for an individual college or university to do the scope of research needed to get the answers and insight we get. But by co-sponsoring with other institutions you get the best of both worlds: Data and insight about your pool of prospective students coupled with a national picture, resulting in a very comprehensive study for a fraction of what it would cost to do it on your own. These studies are affordable at just $2,975 (all inclusive) per institution. For more information or to reserve your participation in this study, contact Rick Montgomery (913) 492-1265, ext. 708 or by email at rmontgomery@longmire-co.com or me at (913) 492-1265, ext. 709, blongmire@longmire-co.com. Colleges are signing up now so we encourage you to contact us soon if you are thinking about participating. CLICK HERE FOR COMPLETE INFORMATION. We help colleges with their recruiting efforts every day. If we can help you please call or shoot me an email. Continue the conversation on Twitter @LongmireCo. For more information about Longmire and Company and the tools we have to offer, click here. Be sure to subscribe to Versions of Conversion today so you don’t miss any of this highly-valuable information. 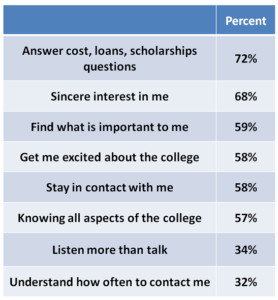 In our latest co-sponsored study, “The Relationship Dynamic,” we asked over 12,000 college-bound students, “Who played a significant role in helping you form a relationship with your chosen college?” Many mentioned the current students who attend the college. Others mentioned their high school counselors and teachers. College admission counselors played a significant role for many. But topping the list? Parents. We all know that parents influence college selection. That’s not news. But they are much, much more than influencers. Parents not only influence, they facilitate the relationship between the student and the college of choice. Are you fully leveraging the influence these facilitators have in shaping the college selection decisions of their sons and daughters. Are you fully serving parents? Have you focused on what’s important to them? Their feelings and emotions? Have you made them part of your recruiting team? If not, you are missing out on the support of possibly your biggest champions. Imagine the impact of turning these key influencers into your college’s top advocates. In a separate Longmire and Company co-sponsored study, “Your Value Proposition,” we measured the relative influence of parents and students in driving the college selection decision. Both parents and students agreed: the student has the most influence. Parents want their child to be happy and, if that lays the foundation for their success in college, then parents are willing to subordinate their own preferences and concerns. However, parents are not shy about influencing the college selection process before the final decision is made. In our “Study of Parents,” we uncovered numerous examples of mothers and fathers hiding or disposing of college marketing material before their child would see it. Conversely, the same parents advocated for specific colleges even though the student had not expressed an initial interest in the school. Results from the current “Relationship Dynamic” study make it very clear: Parents are not just influencing the college selection process, they are active facilitators in leading their child to or away from colleges. In light of this, more colleges are building a separate but equal marketing and “recruiting” track aimed at parents. It’s an acknowledgement that parents can and should be served during the college selection process, and that they can be an important conduit to facilitate the relationship between the prospective student and the college. We couldn’t agree more! And so do many of our college clients. A growing number of colleges are building communications flows and ongoing conversation streams with parents. If you want to begin doing the same or enhancing what you already do then take these steps. Ask permission first. Establish a separate but equal relationship with them, provided the student and parent are comfortable doing so. Admission counselors tell us that most prospective students are happy to give permission for direct communication with their parents, and that parents often consider the request evidence of a higher level of service from the college or university. Seek opportunities for one-on-one interactions. Call the parent while the student is at school, for instance. Structure your campus visits so that you have some time with both the student and parent, separately. In every conversation with the parent ask open-ended questions that will help you gain insight to the student: “What attributes are most important to Jamie in a college?” “What do you think should be most important?” “Has Jamie developed strong relationships with any colleges in particular?” “Is there anything I can show her about our college that would help her decide?” “What do you think would get her excited about our college?” Parents will often share details that students will not. Identify their communication and content preferences. Find out what information they need and want from you. Find out when they need it. Find out how they would like it delivered (email, mail, text, phone call, campus visit, etc.). Make connections. Connecting the parent to “third-party” supporters can go a long way toward building your relationship. Some colleges have established parent “mentor” programs to introduce parents of prospective students to those to parents who have successfully navigated the process. Your goal is to network the parent to someone with a shared perspective that they trust; look for parents of successful students or graduates or alumni that live in the same city. Creating relationships is a multifaceted, nuanced and crucial part of student recruitment A strong bond with a parent can provide the guidance and help you need to better understand the value propositions that will be attractive to the prospective student. Ultimately, you and the parent both share the same objective: A successful, productive, happy college experience for the student. Engaging with parents to this degree involves an investment in time and money. But it’s an investment you and your team need to make. If you elect to invest in this effort then you’re effectively doubling your recruiting team. You are enlisting the help and support of someone “on the inside” who has the full faith and trust of the college-bound student. 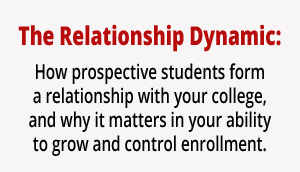 The soon-to-be released “Relationship Dynamic” report is loaded with powerful information that will help you build stronger bonds with the students you are recruiting. If you want a copy of the full public report, you can CLICK HERE to place your name on the distribution list. 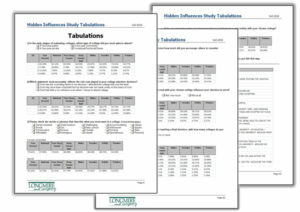 Become a co-sponsor of our next study and get insight into YOUR pool of prospective students! Prospective students don’t always tell you what they’re thinking. Or they don’t want to be completely honest about their REAL first-choice college because they think they’ll hurt your feelings. Or they say one thing and then do another. 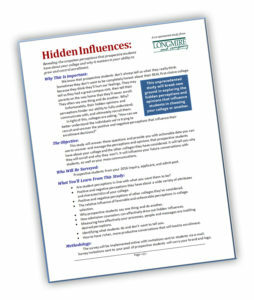 Their hidden perceptions and motivations impact your ability to effectively communicate with and ultimately recruit them. This new study is going to do a deep dive on the hidden perceptions that influence students in choosing a college. Colleges get involved in our co-sponsored studies because they capture fascinating and actionable data specific to their pool of prospective students. As a co-sponsoring institution you will receive comprehensive and customized reporting that compares your data with national data. 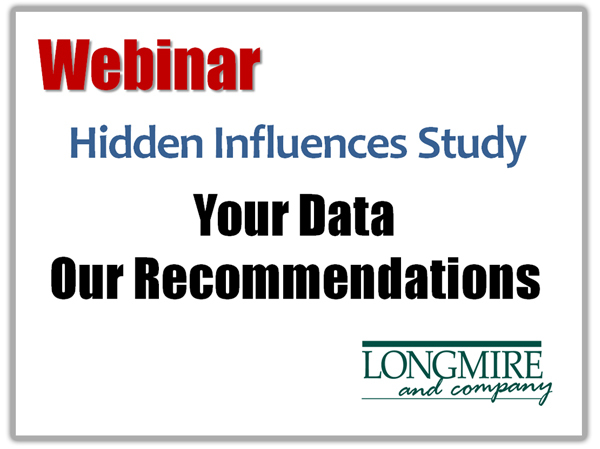 In addition, Longmire and Company will create and deliver a customized webinar for you and your staff to make specific recommendations for acting on the findings. Rick Montgomery is as an Enrollment Strategist at Longmire and Company. With over 20 years in higher education marketing, he brings an innovative and dynamic approach to helping colleges and universities meet their enrollment goals. Rick can be reached at 913/492.1265 x.708 or via email at rmontgomery@longmire-co.com. “Our college is investing so much in CRM automation and social media that I sometimes wonder if my role as an admission counselor is becoming less important,” Joseph said to me during a break at a recent conference. “What’s your opinion?” he asked. I told Joseph that more important than my opinion is that of the more than 12,000 prospective students that recently shared their thoughts with us. They were very clear on the importance of the admission counselor in the college selection process. They even weighed in on the effectiveness of social media marketing. Moreover, they were very specific about what traits and attributes make an admission counselor most effective. We will soon be releasing a comprehensive report of the findings from our most recent co-sponsored study, “The Relationship Dynamic,” with more than 40 private and public colleges and universities joining forces to explore how prospective students form a relationship with a college, and why it matters in a college’s ability to grow and control enrollment. If you would like a copy of the full public report as soon as it is released, you can CLICK HERE to place your name on the distribution list. How influential is the relationship building process? Very! Over 80% of students say that the relationship they formed with their chosen college was influential in their decision to enroll. Nearly half of this group says it was “significant” in their decision. When asked to rate the strength of the relationship they formed with their chosen college (on a 10 high scale) leading up to their final decision 45% rated it 8 or higher. 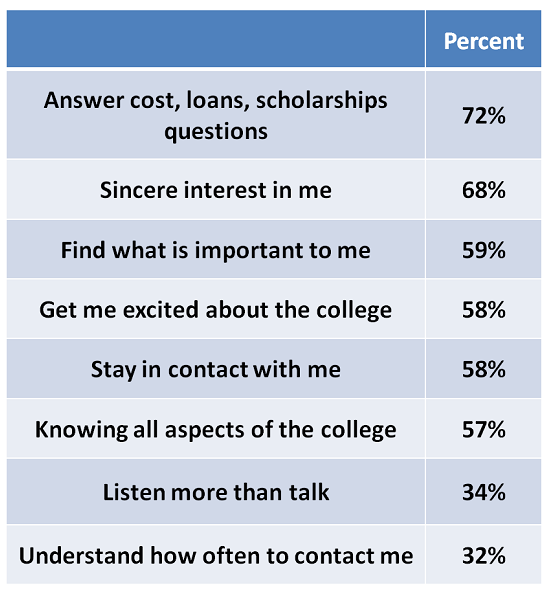 Students were asked to identify and quantify the relative influence of specific interactions on their relationship with the college they selected. Across the board, social media scored in the neutral range whereas interaction with admission counselors ranged much higher, demonstrating a far greater influence on enrollment. What qualities do top-notch admission counselors have that lead prospective students to bond with a college? They are knowledgeable and responsive. They know the answers to every question about their school, campus, costs, loans, scholarships, etc… And, if they are asked a question that they don’t have an answer for, they promise to find out fast. They demonstrate a sincere interest in the student. They get to know the prospective student as an individual and understand his or her particular needs, preferences and motivations. They connect the student to people, places and activities that will create excitement about the college. Because they have mastered #2, they know just who those people, places and activities should be. They make sure to let the students know that the college is interested in them. They stay in touch and are responsive. We all know that a student’s college selection is tied closely to the strength of the relationship they build with a college over time. And we know that creating relationships is a multifaceted, nuanced and crucial part of student recruitment. What Joseph, and all admission counselors must know is this: Your role is crucial. You are a powerful motivator when you use all of the tools available to you. We help colleges and universities with their recruiting efforts every day. If we can help you, please let me know. If you’ve thought about helping your staff with professional development, now is the ideal time to train and motivate your staff. Email or call me if you are interested in how we can help. Continue the conversation on Twitter @LongmireCo. For more information about Longmire and Company and the tools we have to offer, click here. We will be sharing more key insights from this study so be sure to subscribe to Versions of Conversion today so you can stay up-to-date. We recently launched a series of free video training tutorials on our website and YouTube channel aimed at making your counselors even better at their jobs. On our website you’ll find an ever growing list of admission counselor tutorials. Subscribe to our YouTube channel for more tutorials, powerful data from national co-sponsored studies and interviews with some of your peers. For most colleges “Yield Season” extends all the way up to the day new students show up for class. 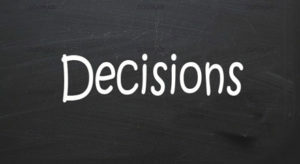 While the majority of prospective students may have made their college selection decision at this point a sizable number are still considering their options. They are still looking at you and other colleges. As they get to know you and other colleges better they naturally develop positive and negative perceptions. They develop concerns. Even objections. Who knows if those perceptions and concerns are rooted in facts. But they exist. And you have to uncover them and deal with them. Here’s how. 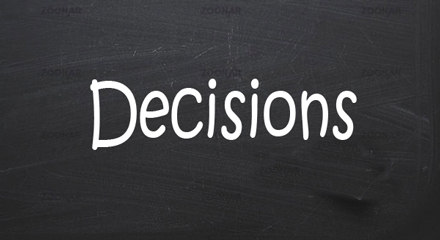 Students and parents often need to be educated about what they SHOULD consider in selecting a college. “Let me tell three things I see students and parents overlook in college selection that comes back to haunt them later.” Then, present your institution’s strengths in those areas. Lack of information: “I sense you’re a little uncomfortable taking the next step. When that happens it’s usually because the student needs more information or some assurance. How about you?” Find out what information or assurance is needed. In no way do we ever advocate trying to fit a square peg in a round hole. If the student is not a fit for your school, and they’d be better served elsewhere, then by all means it’s your duty to help them find that school. You want students who will be comfortable, happy and successful. Unfortunately, many conversations between counselors and prospective students never reach a depth where the the student WILL be best served. For that to truly happen you have to be prepared to artfully ask penetrating but necessary questions to better understand where the student is in his or her decision-making process and why. 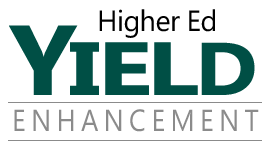 We help colleges and universities with their recruiting efforts every day, especially now during yield season. If we can help you, please let me know. If you’ve thought about helping your staff with professional development, now is the ideal time to train and motivate your staff. Email or call me if you are interested in how we can help. Continue the conversation on Twitter @LongmireCo. For more information about Longmire and Company and the tools we have to offer, click here. Be sure to subscribe to Versions of Conversion today so you can stay up-to-date.